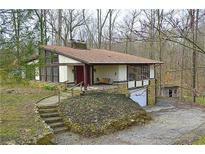 Find Morgantown, IN Homes for sale. View Photos, Maps and MLS Data Now! A Must See To Appreciate This Fine Property! MLS#21633479. REALTY WORLD-Harbert Company. 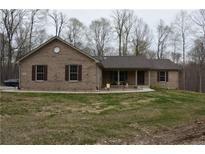 4bedroom 2 full bath home with new privacy fence in back along with workshop and carport. MLS#21629807. RE/MAX 1st Realty. So many possibilities with this home. MLS#21632660. CENTURY 21 Scheetz. Sm cabin/mancave/she shed/playplace also on property. MLS#21632570. Keller Williams Indy Metro S.
Lake Lasalle Estates - Such a special property...don't miss it! 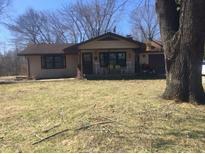 MLS#21632527. Front Porch Real Estate, LLC. 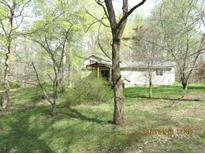 Mnufaitctured home is on a hill overlooking a small pond MLS#21631567. RE/MAX 1st Realty. 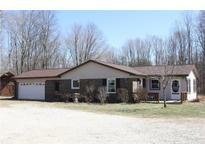 NEWER efficient furnace, home roof, barn roof, water heater, top of the line water treatment system. Being sold AS IS. MLS#21630739. Carpenter, REALTORS®. 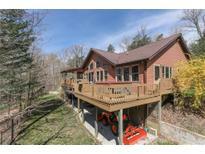 Wooded And Rolling Acreage Adds To Beauty And Charm. MLS#21630537. Chief Realty. 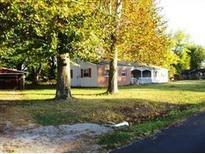 Newer windows, septic, water heater & water line MLS#21628547. Carpenter Hills O'Brown. Sit On Back Porch And Just Watch The Lake And Nature. MLS#21628962. RE/MAX Centerstone. Covered back porch is perfect for end of the day sunsets. MLS#21628210. Berkshire Hathaway Home. 7 additional acres available for $25,000. MLS#21627443. Steve Lew Real Estate, LLC. You Have To See This One! MLS#21626599. M.S. Woods Real Estate, LLC. Large Storage Barn/Workshop. Creek On Border. MLS#21626929. Chief Realty. DSL, Sprunica School. Good commute to Indy. MLS#21626986. Carpenter Hills O'Brown. This Low maintenance home will make you feel safe and secure with a 1-year premium home warranty for one lucky buyer. MLS#21625985. Brown County Real Estate. Come see this home to appreciate all of the amenities. 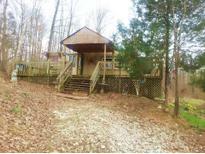 MLS#21625391. Carpenter, REALTORS®. Come see this home quickly because it's priced to sell! ! 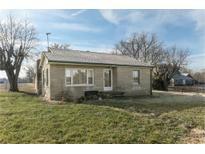 MLS#21624192. F.C. Tucker Company. This home is a must see for the money! MLS#21623120. Carpenter, REALTORS®. 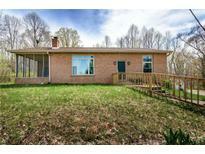 This home has been well maintained by current longtime owner. Home Warranty Provided! MLS#21619575. Keller Williams Indy Metro S.
Parking area. Billboard. Fiber internet available. MLS#21617903. Carpenter Hills O'Brown. 2 car attached garage with attic space for that extra storage you will need! MLS#21617812. Carpenter, REALTORS®. Home does need some improvements and is priced accordingly. MLS#21615541. Carpenter, REALTORS®. A couple out buildings can stay or go-you decide! MLS#21615935. United Real Estate Indpls. While it sits in isolation the property is only minutes from Brown County State Park and downtown Indianapolis. Make it yours! MLS#21614692. Keller Williams Indy Metro W.